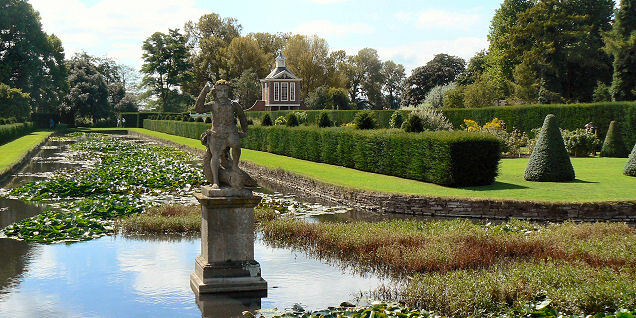 Westbury is England’s most complete formal Dutch water garden. It was laid out between 1696 and 1705 at the time of King William and Queen Mary who had obvious Dutch connections. 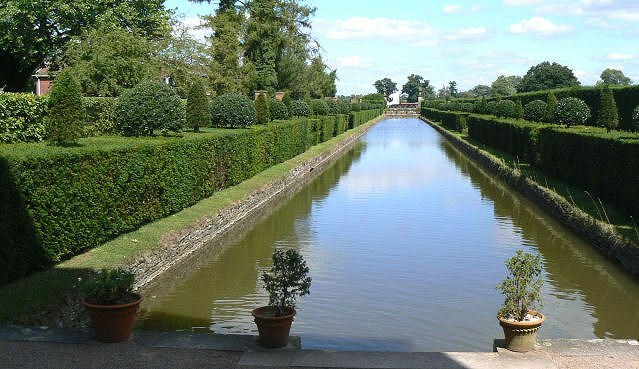 It was also one of the few such gardens to survive the purges of Lancelot “Capability” Brown and his Landscape Movement. 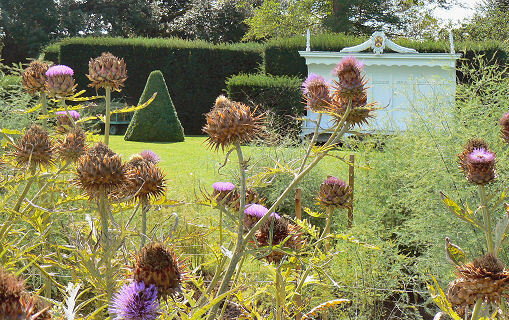 The gardens came into the hands of the National Trust in 1967 and work started on the restoration in 1971. I have to say I visited the garden recently (2009) after a lapse of about ten years and this is certainly the period of time which you need to revisit restored topiary gardens. The difference between the maturity was remarkable and it is now easy to get the full picture of how it would have looked in its heyday. The canals have large fish in them which can entertain the children but keep them away from the edges as the water is deep and the stone edges are crumbling in places! Some of the yew trees are unfortunately suffering from disease and have had to be replaced. Don’t expect to visit Westbury Court the house as there isn’t one. The Elizabethan Manor house was demolished in the 1740’s when a Palladian mansion was built in its place. This in turn was knocked down in the nineteenth century to build a country House. This was sited roughly where the old people’s home is situated now to give some idea of scale. It is a tribute to the English spirit that the gardens were saved at a time when there was a fashion for all these modern developments. 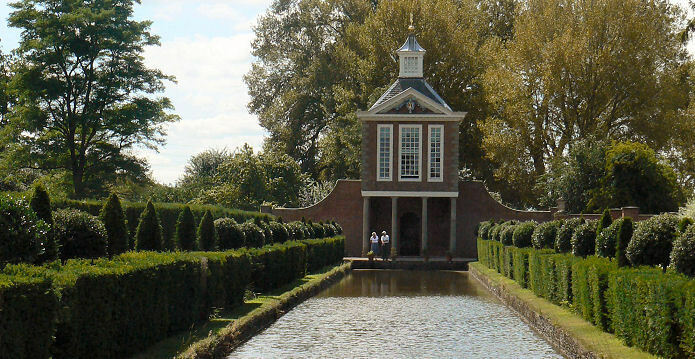 All of the planting in the Water gardens is from plants which had been introduced into Great Britain before 1700. There is also a vegetable garden with old varieties of plants grown there in one of the corners.